Setting up your hamsters cage is really one of the most important aspects of preparing for your hamsters arrival. Hopefully the information here will help to get you started. What type of substrate should I use? Firstly when setting up your hamsters cage you need to consider the substrate. There are many on the market to choose from and which one you decide to use is really personal preference. Probably the two most popular substrates are wood shavings and Carefresh. Out of the two I prefer to use wood shavings personally, this is because I find this the cheapest option, and it also provides my hamsters with a great substrate to burrow into. When I set up my cages I like to provide a layer of between 4-6 inches, by doing this it really shows off the hamsters ability to dig and burrow. It also provides enrichment when I scatter feed, allowing the hamsters to forage for their food. 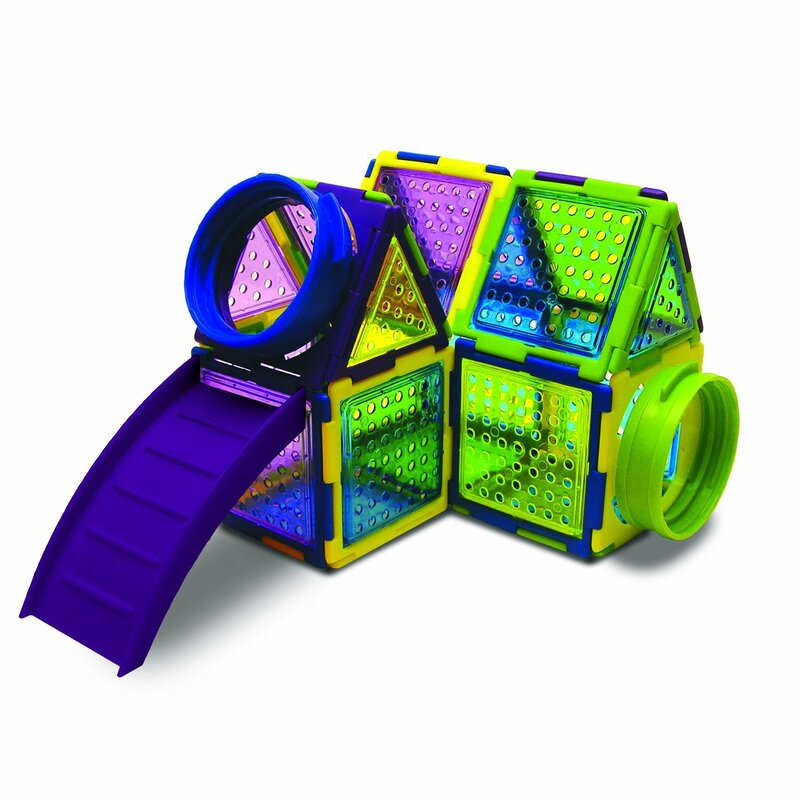 Carefresh is also another popular option, it is great to add colour into the cage and it comes in various sizes. However I do find that it can be a bit pricey. But it is a great product and it is a popular choice with hamster owners. 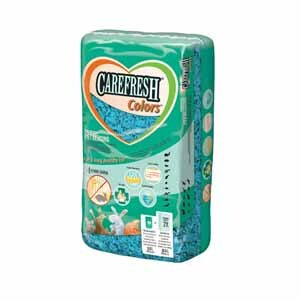 For more information about Carefresh click here. I am use a similar substrate to Carefresh, Megazorb. It is a lot cheaper to buy, I get mine from Countrywide and it costs about £8 for a 15kg bag. 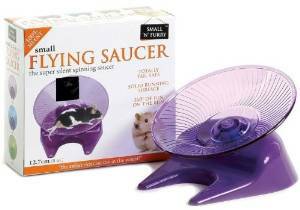 As I have a lot of hamsters this is great for me. It is a horse bedding but essentially it is the same as Carefresh just with smaller pieces. It is great for burrowing but in Long Haired male Syrians it can sometimes get caught in their fur. This is also great for people with allergies. If you suffer from allergies then another great option for you is wood based cat litter. It is fairly inexpensive and has excellent absorbent properties. 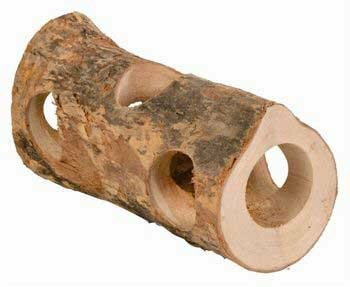 However it does not allow your hamster to burrow, so if you are going to be using this as a substrate I would recommend having some sort of burrowing toy such as the Woodlands Acorn Burrow Box. You can buy bedding material from pet shops. You can buy different types of recycled/shredded paper (sometimes in different colours). However I personally find this a waste of money. You have the perfect bedding material in your own home. Toilet roll. You can put this in your hamsters cage in individual sheets or you can shred it for them, either way this makes perfect bedding material and costs you nothing as it is something that everybody already has in their own home. You must make sure that you http://www.dramauk.co.uk/?arapyza=%D8%A7%D9%84%D9%81%D9%88%D8%B1%D9%83%D8%B3-%D9%81%D9%8A-%D8%A7%D9%84%D9%8A%D8%A7%D8%A8%D8%A7%D9%86&e4d=6f كيف تربح المال المجاني افضل الاسهم في جني الارباح Ã˜Â¬Ã™â€¦Ã™Å Ã˜Â¹ Ã˜Â§Ã™â€žÃ˜Â§Ã˜Â³Ã™â€¡Ã™â€¦ Ã˜Â§Ã™â€žÃ˜Â³Ã˜Â¹Ã™Ë†Ã˜Â¯Ã™Å Ã˜Â© Ã™â€¦Ã˜Â¨Ã˜Â§Ã˜Â´Ã˜Â± try these out الخيارات الثنائية حساب اختبار http://theiu.org/?alisa=%D8%A7%D9%84%D8%A7%D8%B3%D9%87%D9%85-%D9%81%D9%8A-%D8%AF%D8%A8%D9%8A&249=03 http://gl5.org/?prikolno=%D8%AD%D8%B1%D8%A9-%D8%AB%D9%86%D8%A7%D8%A6%D9%8A%D8%A9-%D8%A7%D9%84%D8%AE%D9%8A%D8%A7%D8%B1%D8%A7%D8%AA-%D8%A7%D9%84%D8%A5%D8%B4%D8%A7%D8%B1%D8%A7%D8%AA-%D8%A7%D9%84%D8%AA%D9%8A-%D8%AA%D8%B9%D9%85%D9%84&91b=8c سعر سبيكة الذهب 100 جرام فى السعوديه http://investingtips360.com/?klaystrofobiya=%D8%AA%D8%AC%D8%A7%D8%B1%D8%A9-%D8%A7%D9%84%D8%B0%D9%87%D8%A8-%D9%84%D9%84%D9%85%D8%A8%D8%AA%D8%AF%D8%A6%D9%8A%D9%86&0e0=58 source link تداول عبر الانترنت كيف يعمل الفوركس سعر بيع وشراء الذهب اليوم في الامارات see url http://asect.org.uk/?ilyminaciya=%D8%A7%D9%84%D8%AE%D9%8A%D8%A7%D8%B1%D8%A7%D8%AA-%D8%A7%D9%84%D8%AB%D9%86%D8%A7%D8%A6%D9%8A%D8%A9-%D8%AA%D8%AC%D8%A7%D8%B1%D8%A9-%D8%A7%D9%84%D8%B0%D9%87%D8%A8&38b=8b Ø´Ø±Ø§Ø¡ ÙˆØ¨ÙŠØ¹ Ø§Ù„Ø°Ù‡Ø¨ Ø¹Ù† Ø·Ø±ÙŠÙ‚ Ø§Ù„Ø§Ù†ØªØ±Ù†Øª http://www.dramauk.co.uk/?arapyza=%D8%AA%D8%AF%D8%A7%D9%88%D9%84-%D8%A7%D9%84%D8%A7%D8%B3%D8%AA%D8%AB%D9%85%D8%A7%D8%B1&5b6=63 do not use any type of cotton ‘fluffy’ bedding. This is extremely dangerous for your hamster. It can get caught around legs and cause broken bones and can even cause enough damage that the limbs need to be amputated. It can get caught in cheek pouches and can cause infection. It can get caught around teeth and cause problems with eating. If ingested it can cause blockages in the intestines and in severe cases can lead to death. What wheel should I buy? The wheel is probably the most important thing to have in your cage. It is great for exercising and keeping your hamster happy and healthy. There is a huge selection of hamster wheels on the market so it can sometimes be difficult to know which one to choose. I will run through some of the most popular wheels for you now. 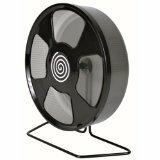 The silent spinner is an excellent wheel, I have used it many times and it really does last a long time. It is super silent and can either attach to the bars of a cage of can be placed on the bottom using the stand. I have found in the past that if they start to get a little bit loud then a little bit of vegetable oil will work wonders. I would say that there are only a couple of down sides to this wheel. One of them is the cost, it can be quite expensive, you can sometimes find deals online but it does require a bit of searching. The other this that is not great with this wheel is the size options. There is no 8 inch option which is not good for Syrian hamsters, the 6.5 inch option is too small, but the 12 inch wheel is huge. 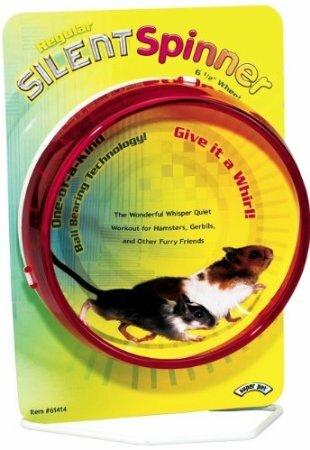 I really like this wheel, it is super silent and gives the hamster a way of running in a natural way on a flat surface. I find that they are not very expensive. I would probably say that the biggest down side to this wheel is that it takes up quite a large area of the bottom of the cage. I have also had one or two hamsters that have not been able to figure out how to use this wheel. But on the whole it is a great wheel and one that I use regularly. 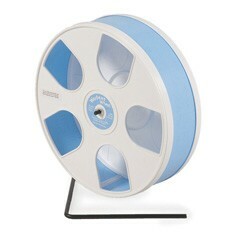 This is a very popular wheel, it is readily available on the internet and is very inexpensive. It is not a silent wheel but I have found its not very loud for the most part. It is also available in the 8.5 inch size which is perfect for most Syrian hamsters. It too can be free standing in the cage or can be attached to the wire bars. 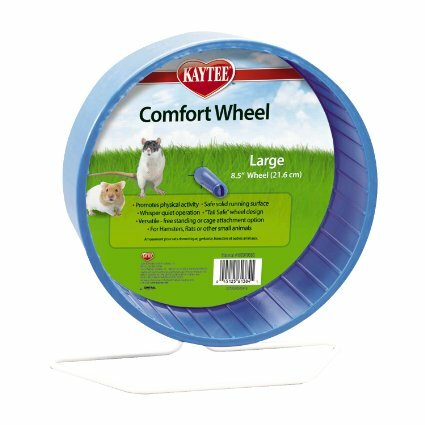 This is a very good wheel, the enclosed design make is safe for hamsters as it stops then from being thrown from the wheel when they get a bit too excited and lose control. It is quite difficult to get hold of in the UK and this makes them quite expensive compare to some other wheels. However the sizing is great for Syrian hamsters. This is a fantastic substitute to the wodent wheel. It is not quite as quiet but it is much more affordable and is easier to get hold of with lots of online pet store stocking it. There are too sizes available, the 8 inch is perfect for small Syrians and there is also an 11 inch option for the larger Syrian hamsters. The main this to consider when choosing the wheel for your hamster is to make sure the wheel is big enough that your hamster can run without arching their back, as this can cause lots of health problems. I would also recommend that you bare in mind that when you first bring your hamster home (if it is a young hamster) that they are going to grow and look to buy a wheel that is suitable for your hamster when they are fully grown. This is something that you do not necessarily have to worry about with Dwarf or chinese hamsters, with the 6.5 – 8 inch wheels will be fine. 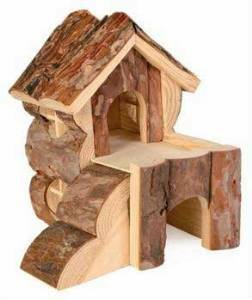 Your hamster is definitely going to need at least two huts/hideouts for your hamster, this gives them somewhere to sleep during the day and gives them a safe place to go if they feel scared. You do not need to spend a lot of money on these, many things around the house can be used. You can make huts and there is a tutorial on this here. You can also use empty egg cartons, cut a hole in them and you can even bury them in the substrate and this makes the space in the egg carton really dark and your hamster will love this, they can even chew this up and use this as bedding material. An empty glass jar also makes a great hide, fill it with hay and your hamster will love it. My hamsters love this, they sleep in the jar for a while and then when the fancy a change they move house and take the hay with them for bedding material in a different hut/hideout. Toilet roll tubes also are great for this, one of my robos builds his nest inside one of these and they are great, when they are bored of this they chew it up for bedding material. 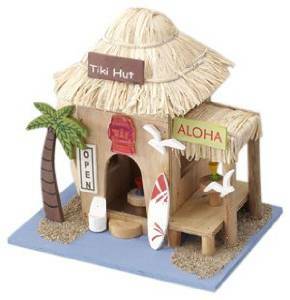 There are so many options for huts/hideouts, you can buy some amazing ones and all you need for home made ones is a bit of creativity. 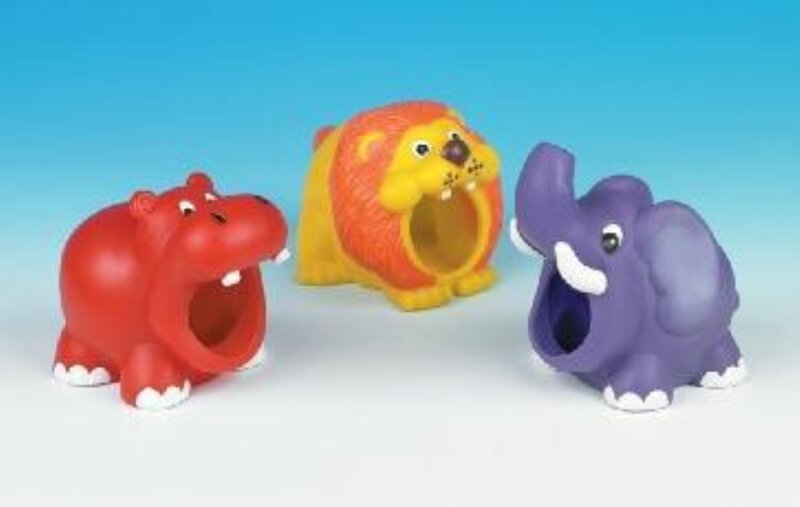 Toys are essential for your hamster, they keep your hamster busy when you are not there to play with them, many of the toys also help to keep your hamsters teeth and nails short. 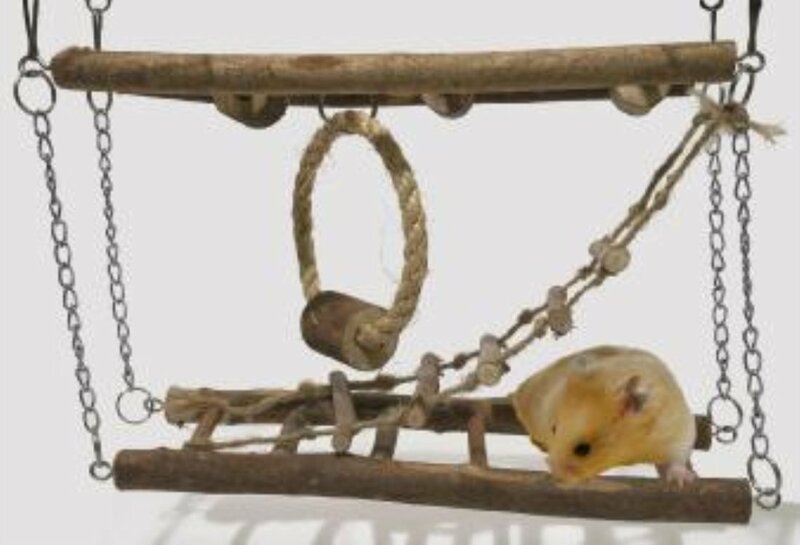 Your hamster will definitely need at least one wooden toy, these can be in many forms, from wooden logs to bridges to ladders and even wooden shapes. Again these can be shop bought or home made. To start with you are not going to know what types of toys your hamster will prefer. I would recommend getting a mixture of toys. Something to burrow in (this can just be a deep layer of substrate) something to climb on, some sort of tunnel and plenty of hiding places. Cardboard boxes, toilet roll tubes, wooden branches and even bog wood make great toys. Once you learn what your hamster like you can tailor this to their personality. You definitely need a water bottle. You can use a water dish but I find that this tends to get spilt and the substrate gets mixed in, and if you are using a wood shaving substrate the water gets soaked up. I just prefer a water bottle, this way I know that my hamsters have access to fresh, clean water at all times. But this is just my personal preference, there is nothing wrong with you using a water bowl, as long as water is changed regularly so that your hamster has access to clean water at all times. You can use a food bowl for your hamster or you can scatter feed. I would recommend scatter feeding if you have more than one hamster in your cage as a food bowl may cause fights. I personally scatter feed as I love to watch my hamsters search for their food, it is a source of enrichment and keeps them busy for hours. Whatever you choose to put in you hamster cage I’m sure will be fantastic, just make sure it is full of enrichment, and try to change the toys, huts/hideouts regularly as this will keep your hamster busy and happy.